If you’re like me, you put lots of thought into the ‘big’ Christmas gift (in our house, we call it the ‘centrepiece’). And yet, the shopping fun comes when you get to choose the stocking stuffers – all those that little bits and pieces that invariably grab the kids’ attention on Christmas Day. We’ve rounded up some gifts that won’t break the bank – they’re also are fun, stylish and will be sure-fire winners this year. A Little Something Different has Christmas licked with the cheeky Lickety Pops. They’re super fun and super-soft silicone ice block moulds, just waiting for cool summer treats. There are two Lickety Pops in each box, they’re re-usable and easy to clean (dishwasher safe) and honestly, are the only polite way to poke out your tongue these holidays! Find them at A Little Something Different for $12. Christmas Day should begin with a most egg-cellent hearty breakfast – and why not make it fun at the same time?! 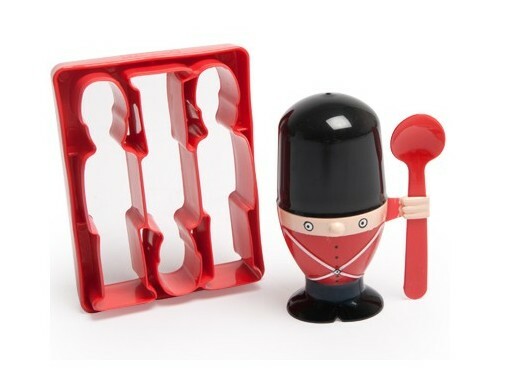 The kids will be standing to attention, ready for brekkie in double time with this very cute soldier egg cup and toast cutter. Use the toast cutter to assemble your platoon of toast soldiers, Vegemite optional! It’s from Lunchboxes with Love and is $25. 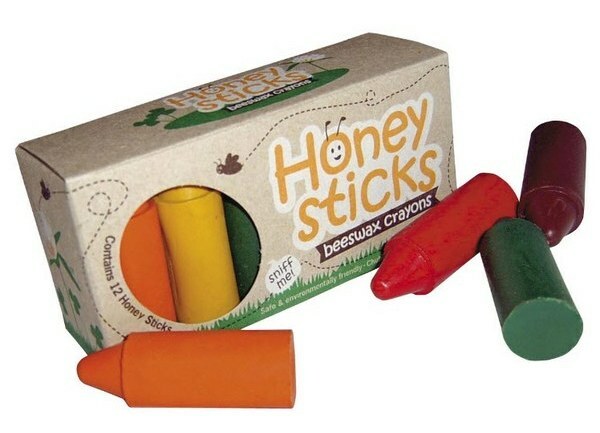 Get the holidays off to a creative start with Honey Sticks Crayons from Billy Lids. Just right for little hands, chubby Honey Sticks beeswax crayons are made from local New Zealand beeswax and non-toxic pigments so they are natural and safe for children (and they smell divine!). Honey Sticks are $14.95 a set. Have your kids discovered Makedo yet? Get on it for a whole new perspective on boxes that would have once gone into the recycling bin. Brand new by Makedo are Box Props, clever kits of Makedo accessories that transform boxes of all shapes and sizes into marvellous creations. 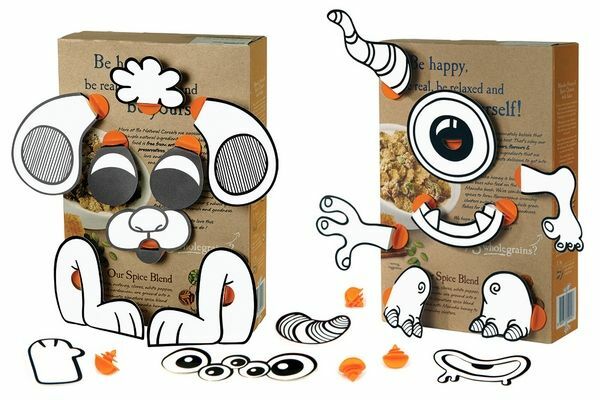 Makedo kits include the ingenious Scru – the first ever kid-friendly cardboard screw. Use the Scrus to connect plastic Props and in no time at all you will have your very own box character or vehicle. Makedo parts are re-usable so you can create over and over again. Box Props are priced from $10. With all that craft activity, the kids will need a cover-up. 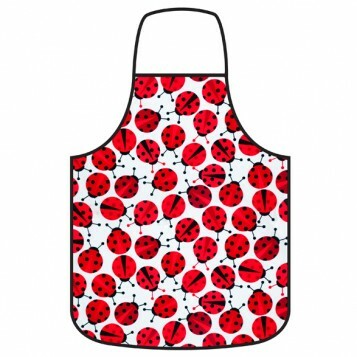 The perfect thing to pop on before the art begins (or when helping out in the kitchen with Christmas baking) is a very sweet Annabel Trends Easy Wipe Apron from Moo Woo. Made from cotton, the aprons feature a protective coating that makes them easy to wipe clean. There are five designs including ladybirds, stripes and monkeys and all are priced at $15.95 each. Christmas holidays will take off with Peaceable Kingdom Press activity books from My Busy Bag. There are all sorts of activities to keep little hands busy, including re-useable sticker packs and card games. The emphasis is on activities that can be played solo – perfect for road trips or plane trips. 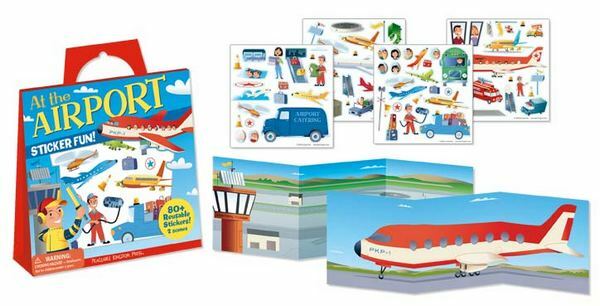 Priced from $8.95, the activity books and sticker projects are available in all sorts of themes from airports and bugs to marine life and ballerinas. If you’re busy packing bags, don’t forget the snacks. Jellystone Designs have a fantastic range of neoprene lunch bags and back packs. Made of funky wetsuit like material, Jellybones bags are water resistant, have insulating properties and are easily cleaned. A lunch bag is the perfect stocking stuffer for kids who are starting school or daycare next year. Jellybones bags are priced from $30. This summer you can take the race track with you with the brilliant Tape and Race Car Kit from Finlee & Me. Wherever there’s a hard surface (floors, tables and even walls), you can build roads and highways with this clever tape. And when the car games are over, the tape peels off quickly and cleanly. Each kit includes an assorted penny racer and pull back car to get you started. 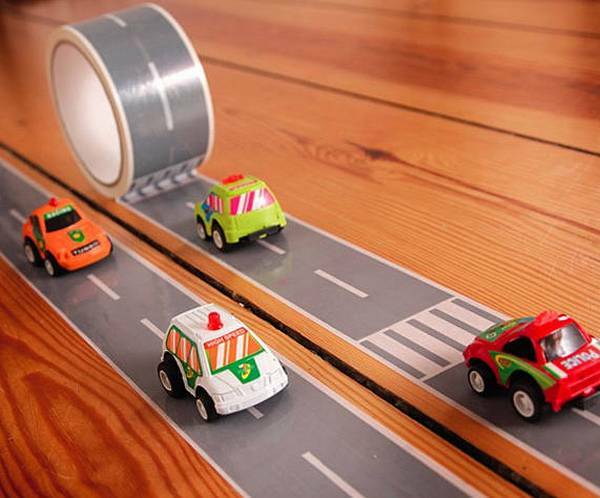 Tape and Race Car Kits are racing into Christmas stockings for $19.95. 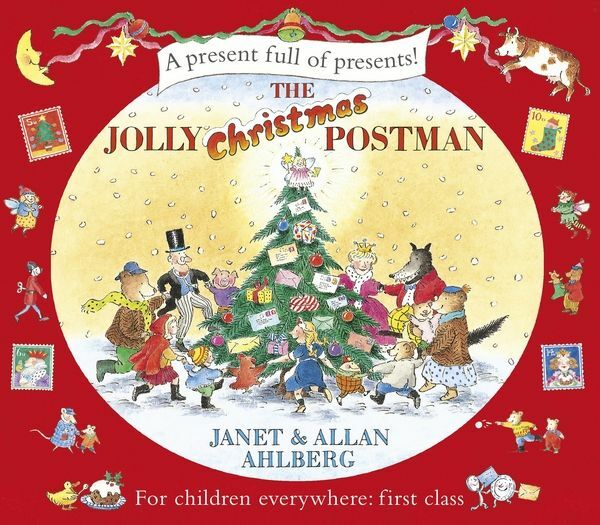 End Christmas Day quietly but continue the festive fun with Janet and Allan Ahlberg’s classic storybook, The Jolly Christmas Postman. With all sorts of tiny flaps to lift, letters to ‘deliver’ and envelopes full of surprises, there’s good reason why The Jolly Christmas Postman has enchanted children for decades. It’s available from Story Mama for $29.95. And when it’s time for lights out, make sure you’re cuddling the cutest creature! Meet the adorable Hazel Village Reginald Fox from Millie Abroad. All of the creatures in the beautiful Hazel Village collection come with their own little stories, removable clothing (that fits the other creatures) and are ready to be friends. Also in the collection, you’ll find Oliver Mouse, Penelope Rabbit, Max Raccoon and many more. 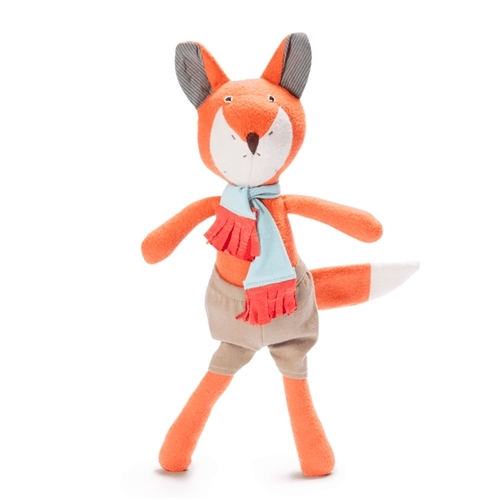 Make sure you also pick a few outfits for your new woodland friend – we loved the tiny striped pants and red hooded coat. Hazel Village creatures are $38 each. Mums shouldn’t miss out on a few little Christmas treats – if they’re small, they don’t count, right?! Our pick is from the always stylish Il Tutto and for the Christmas stocking, the adorable Teddy Tassel Keyfob in turquoise is a must. Featuring Il Tutto’s signature monster teddy and an oversized tassel, both in luscious Italian Nappa leather, it’s the perfect keychain or can be used to customise your Il Tutto baby bag. It’s available online for $39. Be sure to check out all of the Babyology Christmas gift guides for some ‘big-ticket’ items.